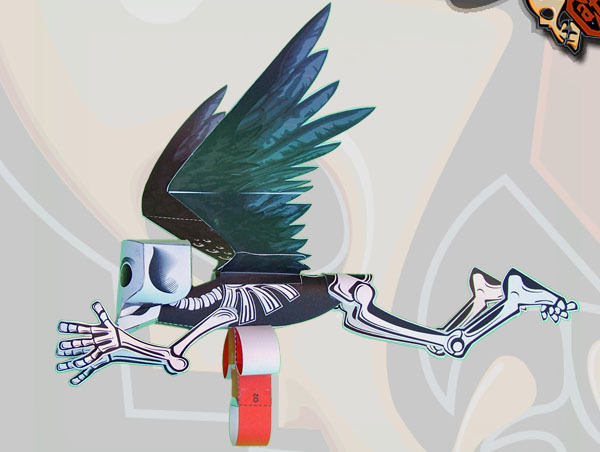 This Automata paper model is my own version inspired in such creature. The Angel of Death comes in a PDF file with instructions and patterns. 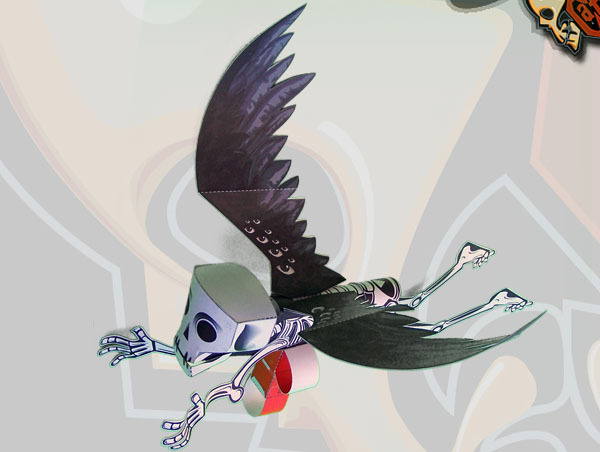 The difficulty level is medium, especially in the wings mechanism. The size is 30 cms long, and 37 wide, once it dries, it moves with a single movement of your fingers. 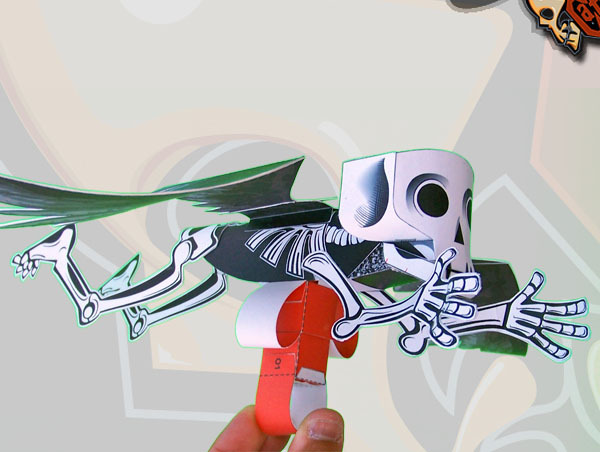 Print, cut, fold and glue!, for the Angel to fly on your hands, chasing your friends. 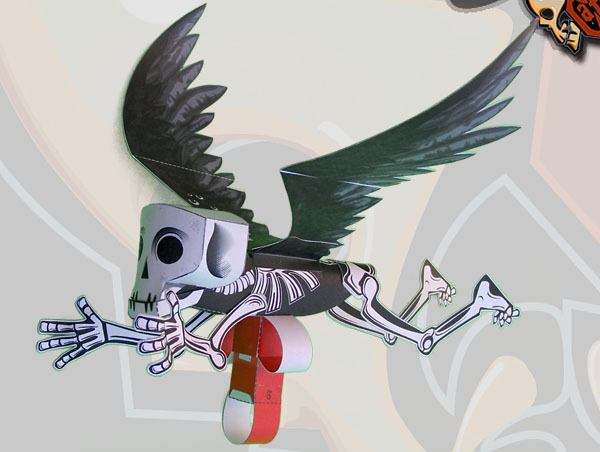 The Angel of Death paper automata by Arturo Palacios is licensed under a Creative Commons Attribution-NonCommercial-NoDerivatives 4.0 International License.